It's been almost four months since my last Popsugar challenge update thanks to a combination of books that didn't fit any of the prompts and a lack of time to read as much as I'd like. My total count for the challenge is now at eighteen and with only three months left of the year I won't be able to cross all fifty-two prompts off the list. Instead I'm hoping to complete around twenty-five of the prompts before 2017 comes to a close. I had originally considered reading Stephen King for this prompt however in times of a reading slump I turned to one of my favourite books which also happened to fit the brief. 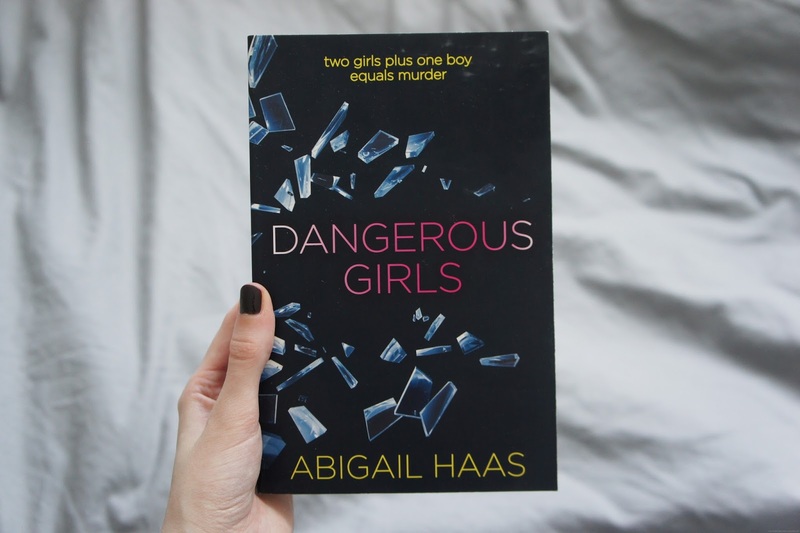 Dangerous Girls was penned by Abby McDonald under the pseudonym Abigail Haas. It would appear that this book is becoming an annual re-read for me as this is the third year in a row I've picked it up! You can catch my review from back in 2015 here on BB. When I first picked up this book I wasn't sure it would fit any of the prompts in this year's challenge (aside from those I'd already completed) however I quickly discovered I was wrong. The book's main character Quincy is the only survivor of an attack at Pine Cottage years earlier and does not remember anything from the night of the incident, fitting the unreliable narrator role well. I had a few different ideas in mind for this prompt but settled on Big Little Lies by Australian author Liane Moriarty. There are so many amazing countries that I've never visited and Australia is definitely one I hope to see some day! Sleeping Giants is the first book in a Science Fiction trilogy that follows the discovery of a giant metal hand. The format of the book which tells the story through interviews, journal entries, news articles, reports and logs made this one a particularly interesting read and I'm looking forward to picking up the second book in the series. If you're taking part in the Popsugar 2017 Reading Challenge I'd love to hear from you. Let me know which prompts you've crossed off the list and which books you're planning to pick up next!